Wish to have a sophisticated and comfortable life in the lavish geography of Dubai? Well, this is something that most of the people desire! Dubai embraces distinct culture inclined more towards up-standard, comfortable, and luxurious lifestyle. So, if you are planning to immigrate to Dubai, then there are numerous challenges to overcome, such as language, religion, customs, climate, and most importantly, from where to start. Although most of the visitors find it a friendly and welcoming place, one thing you need to check is the diversities and lifestyle, which is very different from any Indian region. Dubai’s Economy – What You Must Know! The economy of Dubai is not based on the trading of natural resources or any other conventional practice. These were the things of past. If you talk about the present economy of Dubai, then things have transformed greatly. Logistics, real-estate, hospitality, construction, tourism, and financial services are the prominent industries booming in the region. Besides these diversified options, and strategic location, the high-end infrastructure, and ease of performing business operations make Dubai a prime destination for numerous MNCs. So, if you are considering immigrating to Dubai to enhance your career opportunities and to have a highly promising career, then definitely this is an excellent choice. Immigrating to Dubai can be a challenging task, but with proper information about the same, you can save lots of time and energy for the same. If you are planning to immigrate or relocate to Dubai, then foremost essential thing is to secure a job in the place. Obtaining a job in Dubai is the first mandatory step to obtain a residence permit. Once you get a residence permit, you will be then able to secure a work permit with ease. As an expat in Dubai, you will be able to open a bank account as well as carry other essential formalities with ease through your residence permit. The residence permit is helpful to not just open a bank account, but also to get a rented property, register a car and practice doing more other things that are essential to settle in Dubai. There are numerous types of residence visas in the Dubai. You need to select an appropriate residence visa that suits your requirements. For this, you need to provide all the essential documents including the application form, a copy of the respective person’s passport, original copy of the passport for verification, employment or job permit from the Ministry of Labor, and employment permit. So, the various steps involved in availing a residence visa are as follow. There are multiple sorts of residency visas that you may avail to work in Dubai. In almost every case, if you are able to avail a job in Dubai, then the formalities related to work permits and residence visa are sorted by the employer. Also, most of the employers cover costs related to the same. But to ensure that the process is streamlined and goes well without experiencing any hassles, you need to provide all the documents. Before you are granted the visa, you need to undergo a medical examination. You can consider taking the medical exam from a private clinic, hospital, or government hospital. The medical examination includes a chest X-ray and blood test. If you are identified with the presence of any communicable ailment, then you will not be granted the visa. TB, leprosy, AIDS, and HIV are the prominent ailments for which the test is practiced. Also, if you are identified with any of these, then you will be deported immediately. Once you have availed your work visa, it is now time to apply for the work permit. For this, your employer may do the necessary work and cover the entire cost. The work permit must be mentioned in Arabic. Also, it must be in accordance with your employment contract. An appropriate qualification needed in UAE. The working week in Dubai may differ from company to company and businesses to businesses. Usually, the general working week is from Sunday to Thursday. Besides this, there might be some retail and other working days a week. The companies are closed and not working on Fridays. The typical business hours are from 8:00 to 13:00 hrs. During special situations or events, the working days might be shorter. Also, there are Free Zones in Dubai that may have distinct working hours. While there may be different policies of the employers, the usual time to work is 40 to 48 hours in a week. The income paid to expat workers in Dubai is very high. Majority of the cash packages in Dubai cover the basic salary, air tickets from home, housing allowance, medical cover, and more. In some situations, the employers offer performance based benefits to the employees. These can be bonuses or monetary benefits. There is also benefit to contract workers where their contractual job can be altered into a permanent job by signing an indemnity. There are no part-time or flex-time work options in Dubai. Most employees are offered full-time job positions. Over the span of time, the rental cost in Dubai has dropped down significantly. It started during a major recession in 2008 that affected the global economy. But this does not mean that you can get a luxury home in Dubai at affordable prices. Renting in Dubai is still a major cost. If you want to live comfortably in Dubai, then your rental expenditure must not be more than 20% of the yearly salary. The rental expenditure in Dubai includes only the housing expenditure and excludes your entire utility bills, water bills, and electricity consumption. Hence, you need to pay a good sum of money even for a small two bedroom apartment. The cost of your utilities would definitely increase in summers as Dubai is hot in summers and hence require air conditioners often. You can cut down on your shopping and grocery bills to save more bucks. Shopping for local products is always a better idea than shopping for the international brands. The option of car rental in Dubai from a rental agency is not much expensive. You can, therefore, hire a car to explore the regions and live comfortably in Dubai. In order to immigrate to Dubai and settle there, you need to avail appropriate education as per the job type you are looking for. Once you settled there, you can check the high-quality schooling options for your kids including nurseries, daycare services, private schools, and primary schools. These educational institutes serve the varying requirements of the masses of the international population. The cost of education in Dubai is quite higher. Even it may vary depending on the type and quality of service you wish to avail. The public transport system in Dubai is excellent including air-conditioned buses, taxis, Metro, water taxis, and much more. However, I would recommend you to hire a car to travel to the neighboring emirates, like Sharjah or Abu Dhabi. Dubai houses an outstanding health infrastructure with state-of-the-art medical facilities and premium healthcare standards. The local residents of UAE can avail the healthcare solutions from public hospitals in Dubai for free of cost, or at a very nominal fee. The expats have the option to use public hospitals after undertaking a health card from the Department of Health and Medical Services or DOHMS. The majority of the population in Dubai follows the Islamic culture. The government in Dubai is liberal as compared to the other nearby emirates regions. Even non-Islamic festivities like Easter and Christmas are celebrated well. Numerous retail stores offer great discounts during such celebrations. The major celebration of the region is during Ramadan, which is considered the holy month of the calendar. During this celebration, the Muslims, as well as non-Muslims living in the region, are abode to follow the religious traditions and avoid drinking alcohol, eating non-vegetarian food, smoking during fasting hours and more. What language is spoken in Dubai? The official language of Dubai is Arabic, but the large masses of the population speak English in Dubai. It is because 75% of the population in Dubai is from other regions and hence they speak English to communicate well with each other. Even the traffic signals, signboards, and other essential information in Dubai is displayed in Arabic as well as English. There are few rules when you enter a country. Dubai is an Islamic region and hence there are few things that are considered as the norm and will not be tolerated at any cost. There is no duty applied in Dubai, but individuals are limited to the number of products that can be bought for free in the UK. Another rule is regarding drinking alcohol. If you wish to drink alcohol in UAE, then you will require a license when purchasing it. Even pork and pork-related products are not allowed in the country. Pirated films, pirated music, computer, films, and other pornographic material are not used. Sorting finances in Dubai is very simpler and easier than you think. Setting up a bank account in Dubai is much simpler and even you can avail necessary help from your employer in order to carry on with the formalities. Another major benefit of working in Dubai is that individuals are not required to pay any tax and even they are not required to inform HM Revenue and Customs (HMRC) that you are leaving the nation. There is no state pension scheme in UAE. You need to access an offshore pension or an investment scheme. If there is already a pension scheme in the UK, then you can transfer this to your Dubai’s account under the HMRC rules through another region. 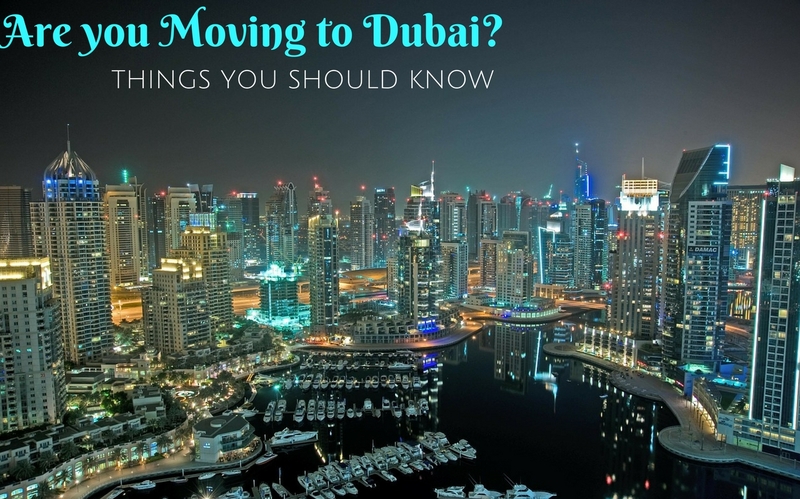 So, now you know everything about immigrating to Dubai. This place is a dream for numerous expats to live a luxurious life and make good sums of money. Hence, you may make most of this information to make working and living in this region enjoyable and lucrative.